The 2014 sinking of the Sewol ferry left more than 300 dead or missing, exposed irregularities in society and scarred the nation. There have been documentaries and independent films about the tragedy as well as many tribute songs, but using it as a subject in popular culture has remained an unspoken taboo. This is about to change, as two films talking about Sewol opened in March and April: “Jo Pil-ho: The Dawning Rage” by Lee Jeong-beom and “Birthday” by Lee Jong-eon, respectively. The two films differ in tone and genre but the mention of Sewol in commercial films may indicate Korea is finally ready to talk about the loss of many young lives. 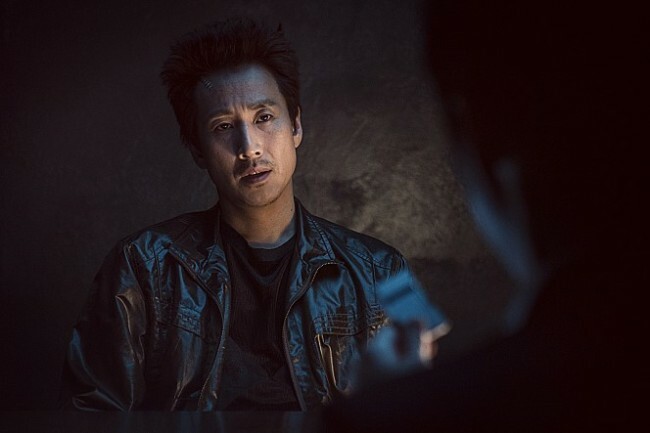 “Jo Pil-ho: The Dawning Rage” shows a corrupt police officer who confronts the despicable evils of the world. He fights alongside a high school student who is linked to the Sewol tragedy, defending the lost young soul amid the harsh realities of the adult world. “And you bastards call yourselves adults,” a line by the leading lady Mina -- played by Jeon So-mi -- embodies the movie’s rage against adults who not only fail to protect the young and innocent, but are directly responsible for creating the corrupt and dysfunctional world that resulted in the tragedy. As the ship started to capsize, the captain and most of the crew fled the scene after telling passengers to “stay put.” Aboard the ship were 339 people from Danwon High School en route to a field trip, of whom only 75 students and three teachers were rescued. The investigation that followed the sinking had revealed a series of irregularities, including a connection between political and business circles. It was also revealed that then-President Park Geun-hye had stayed in her private quarters until late in the afternoon, and officials were only able to reach her after 10:20 a.m., 10 minutes after which the ship sank completely. “The film shows us that the best sympathy for Sewol is to be enraged. It reminds us that this was the beginning of Park’s impeachment and that we must still be enraged to rid the remaining irregularities and uncover the rest of the truth,” Yoo Kyung-geun, a spokesman for the Sewol Victims’ Families Committee and father of a student victim in the tragedy, wrote on his Facebook page. 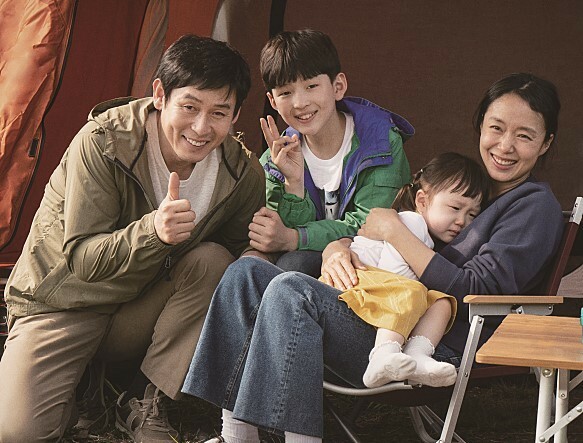 “Birthday,” starring two of the best actors in Korean cinema, Sol Kyung-gu and Jeon Do-yeon, looks at a family struggling to cope with life after losing a loved one in the Sewol tragedy. The film is careful not to be overly emotional, in an attempt not to cheapen the pain bereaved families still experience. Sol demonstrates the overwhelming guilt of a father who was not there for his son, while Jeon brilliantly depicts a mother who clings on to every little trace of the boy she can no longer hold. It also shows the way families cope with loss. Though the loss still pains them, they push themselves to accept it and move on. What stands out is director Lee’s effort to connect with the families, friends and neighbors of Sewol victims. In the film, all the characters are interconnected and the side stories flow seamlessly toward a cathartic closure for the protagonists. Yoo said the film shows the lives of those left behind, exactly as it is. “‘Birthday’ shows the actual case of the victims without glorifying or exaggerating them, forcing the viewers to look back on ourselves and reflect upon how they once connected (with the victims) at the time of the tragedy,” he wrote. He expressed his wish for the two films to become a catalyst for investigating remaining suspicions related to the Sewol tragedy. The films have had differing responses from the general public and critics. The average critics’ score for “Jo Pil-ho” was around 4.3 out of 10 on the movie pages of Korea’s largest web portal Naver, while “Birthday” was at 6.9. Among criticism for “Jo Pil-ho” was that the side story about Sewol was not relevant to the story, and excluding it all together would have made no difference to the plot. It tanked at the box office, only selling 261,248 tickets before being removed from the big screen. It needed to sell 2.5 million to break even. It has already sold 761,797 tickets as of Monday and continues to sit on the top of the box office. With tributes for Sewol victims taking place across the country over the weekend, some educational organizations are choosing to watch “Birthday” in their memory. Gangwon Provincial Office of Education has designated a mourning period until April 30, and has recommended its employees watch the film. Ulsan Metropolitan Office of Education is holding a screening session for all its employees.